Eleanor has trained as a dancer since the early age of 3, taking part in many festivals and competitions across the country including the Janet Cram Awards. Graduating from Masters Performing Arts College in 2008 with a diploma in Musical Theatre, she went on to travel the world working professionally as lead vocalist/dancer in various production casts (TED Talent/Thomson/Sensatori). 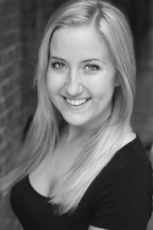 When at home Eleanor coaches singers and teaches dance and drama workshops freelance around the UK - she was lucky enough to spend 6 months in New York at Long Lake for the Arts, as Entertainment Director and Assistant Choreographer. Most recently Eleanor has played Serena in Little Theatre Company's production of 'Legally Blonde' and is looking forward to her next role in 'Jekyll and Hyde'.